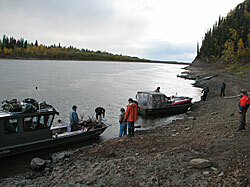 Hunt reports are important to Alaska wildlife managers. We urge you to quickly report your harvest on the appropriate form. Most general season hunts are reported on a "harvest report" postcard issued along with the "harvest ticket." Permit hunts are reported on a similar form that ADF&G issues along with the permit. In some hunts, your harvest must be reported within a day or two so wildlife managers can ensure harvest quotas are not exceeded. Recognizing the importance of this information, the Alaska Board of Game authorized ADF&G to implement penalties for those who fail to report. Penalties for failing to report include being ineligible to receive any permits the following regulatory year, and may result in being issued a citation by the Alaska Wildlife Troopers.